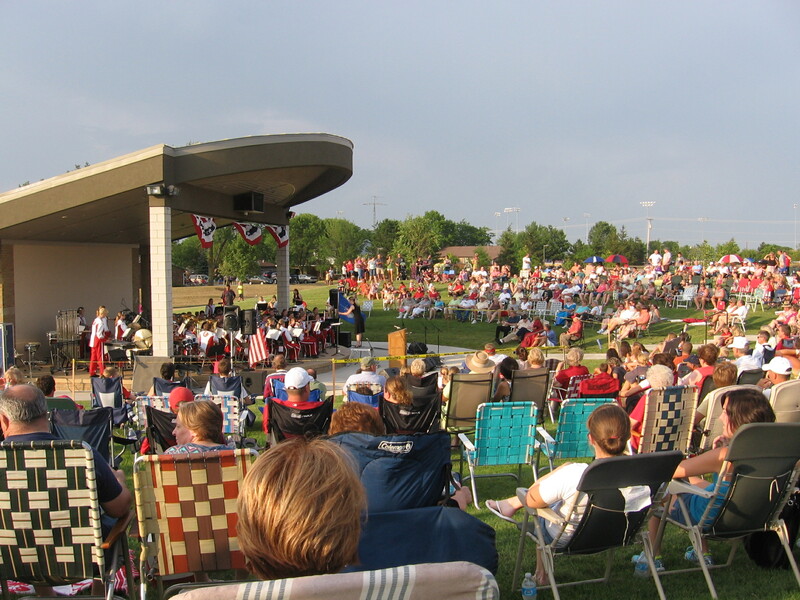 As part of their 175th celebration, the Village of St. Henry completed an amphitheater as part of a phased park project and dedicated a garden honoring the community’s veterans. 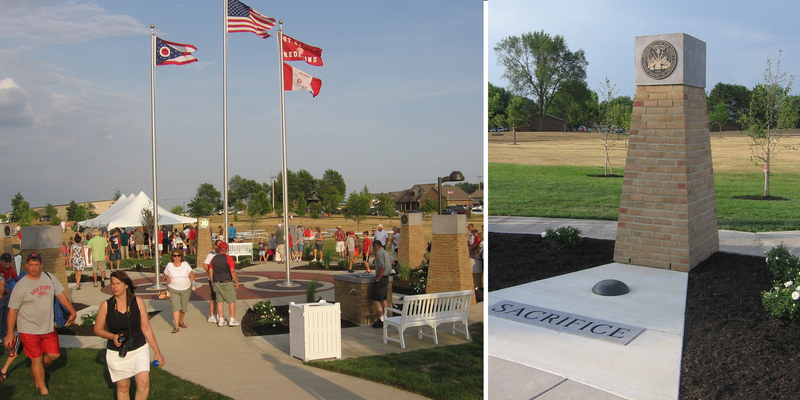 The plaza space includes dedication entrance signage, artwork, comfortable seating, and a water feature designed in the spirit of an eternal flame for those that gave the ultimate sacrifice for their country. Columns with inspiring phrases at their bases were installed for each military branch. 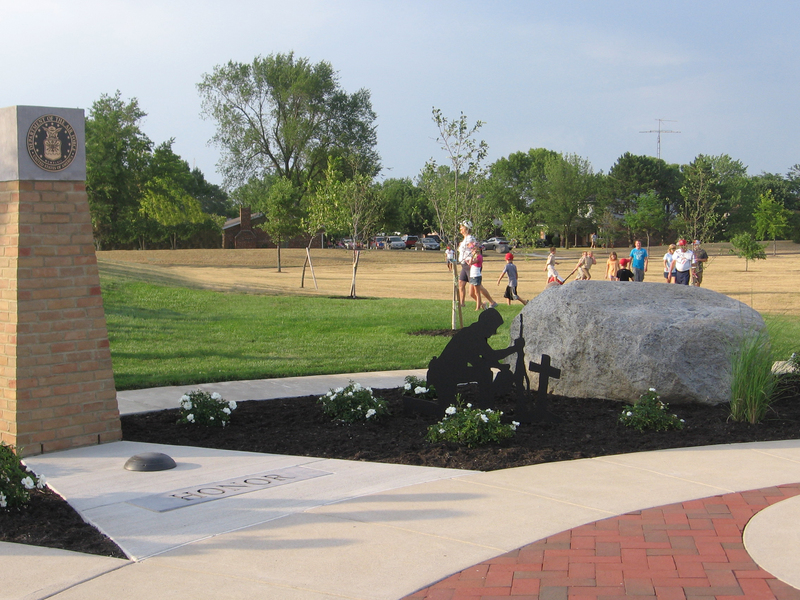 The plaza is a patriotic and contemplative space and the landscaping and materials reflect these values. The planting plan is simple but significant in that it contains only white elements, symbolic of honor and purity. Building materials of stone, brick and metal reflect solidity and permanence, providing honor for those who have served our nation. Garmann/Miller supported the mostly volunteer-built effort with landscape architectural design work.